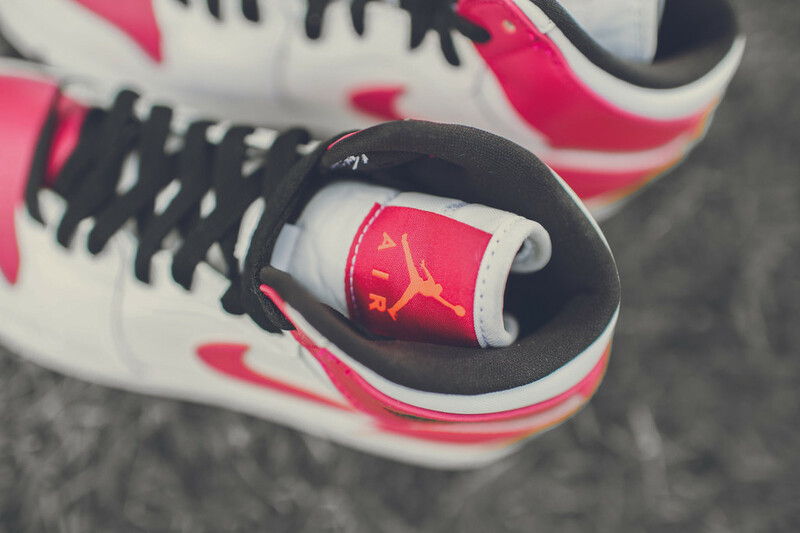 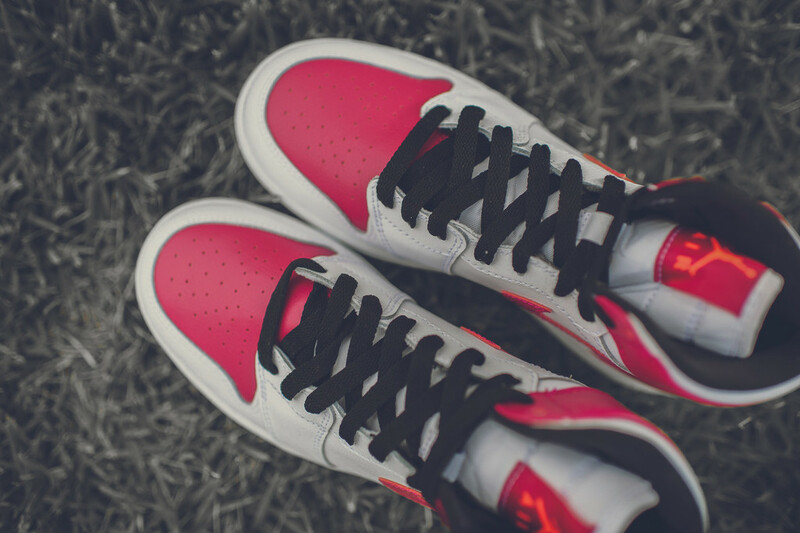 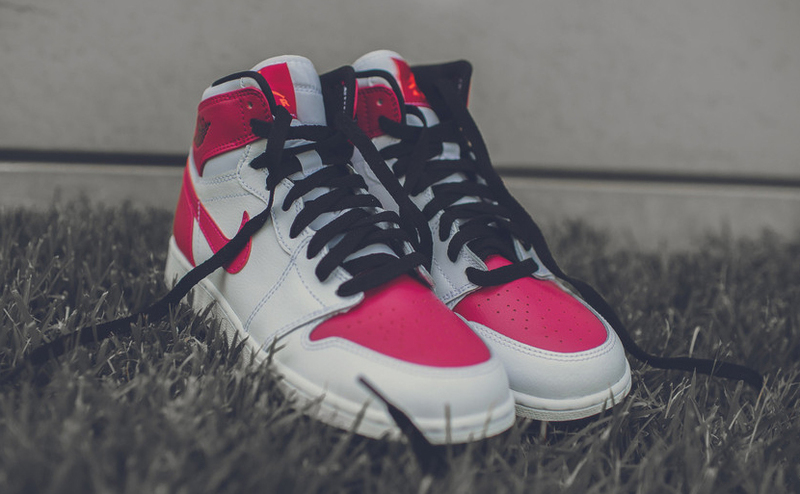 The latest in Jordan 1 GG styles. 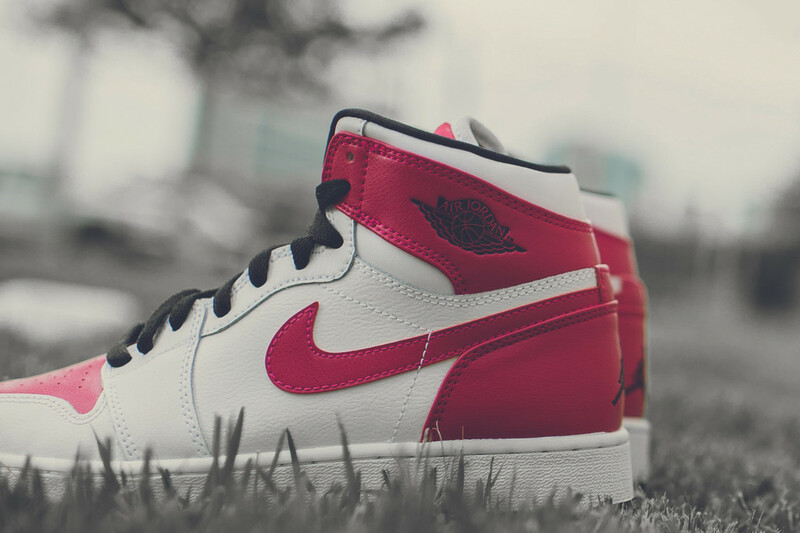 The Air Jordan 1 continues to be the most frequently retrod shoe in all the Air Jordan line, with the many pairs that pop up on a regular basis being just a bit difficult to keep track of. 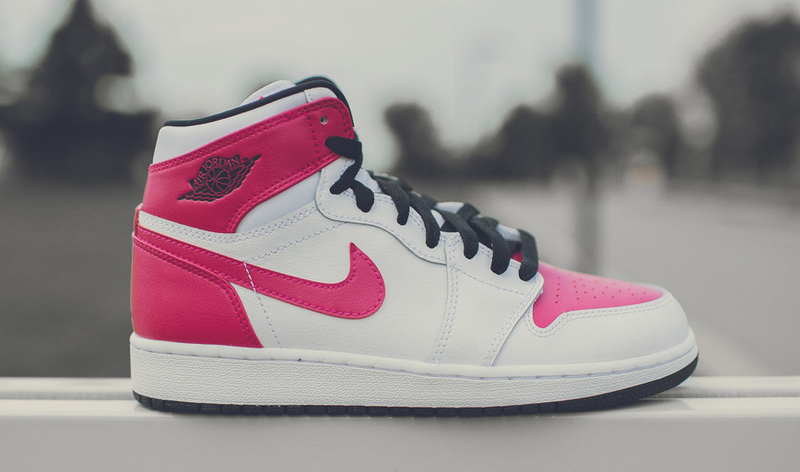 This latest one uses the Air Jordan 1 GG (girls/grade school) build along with the sort of bright colorway that's so often associated with footwear for females. 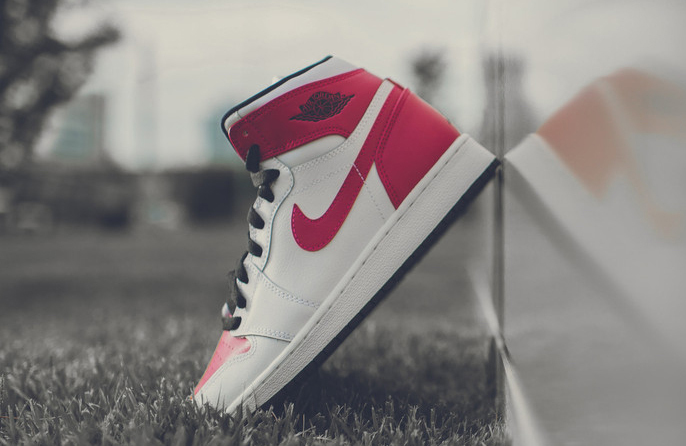 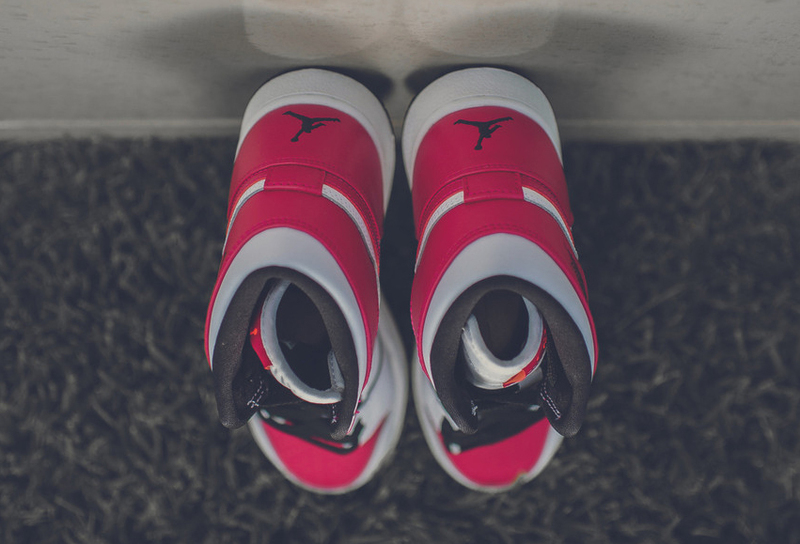 The shoe has a white and black base along with some sport fuchsia panels to color the upper, although the exact value of the shade is sort of obscured here by the filter on the photos. 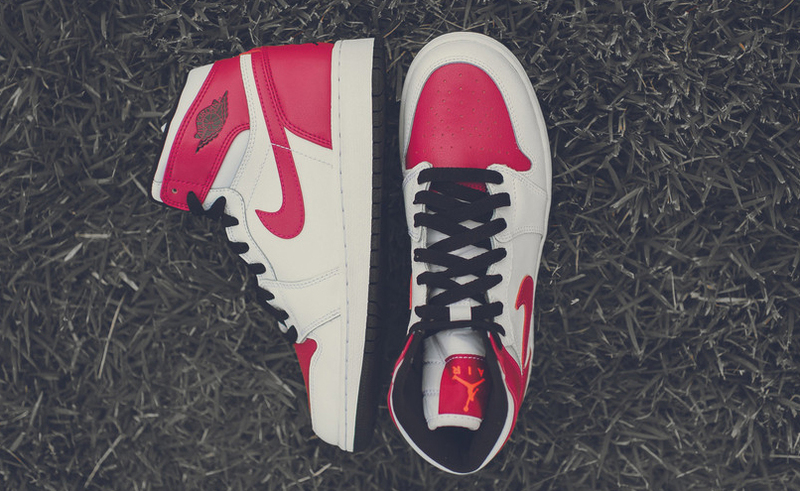 This Air Jordan 1 just popped up at Rock City Kicks, but is also available at chain stores like Finish Line.